The eight-month prison sentence imposed on Palestinian child activist Ahed Tamimi is a flagrant attempt to intimidate those who dare challenge the circumstances of the ongoing Israeli occupation, Amnesty International said today. 17-year-old Ahed Tamimi was sentenced to eight months and a 5000 shekels fine (around AUD$1850), with a three-year suspended sentence after entering into a plea deal at Ofer military court in the Israeli-occupied West Bank. She was accused of aggravated assault and 11 other charges after a video showing her shoving, slapping and kicking two Israeli soldiers in her home village of Nabi Saleh on 15 December 2017 went viral on Facebook. 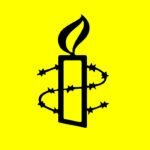 “By sentencing Ahed to eight months in prison, the Israeli authorities have confirmed yet again that they have no regard for the rights of Palestinian children, and have no intention to reverse their discriminatory policies” said Magdalena Mughrabi, Amnesty International’s Deputy Director for the Middle East and Africa. “Under the Convention on the Rights of the Child to which Israel is a state party, the arrest, detention or imprisonment of a child must be used only as a measure of last resort and for the shortest appropriate period of time. 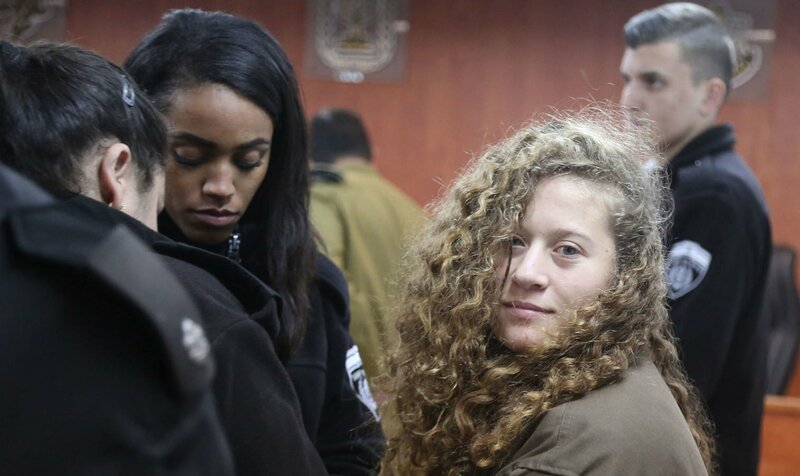 Ahed was convicted on four of the 12 charges against her including incitement, aggravated assault and two counts of obstructing Israeli soldiers. Her mother Nariman was sentenced to eight months in prison in addition to a fine of 6000 shekels (around AUD$2200) and a three-year suspended sentenced for assisting in assaulting a soldier, obstructing a soldier and incitement. Ahed’s cousin, Noor Tamimi, was fined 2000 shekels (around AUD$740). Ahed Tamimi was arrested on 19 December 2017 after her mother, Nariman Tamimi, also a prominent activist, posted the footage of her altercation with Israeli soldiers online. Nariman Tamimi was arrested later that day, while Ahed’s cousin, Nour Tamimi, was arrested the following morning. Nour was released on 5 January pending trial, and was sentenced yesterday (21 March) to the time she had already spent in prison. Ahed confronted the soldiers amid a demonstration in Nabi Saleh against US President Donald Trump’s recent decision to recognise Jerusalem as the capital of Israel. The incident took place on the same day that one of Ahed’s other cousins, 15-year-old Mohammad Tamimi, was hit in the head at close range by a rubber bullet fired by an Israeli soldier and sustained serious injuries.